A Fantastic Opening Night for Pride Weekend! Everything is just better with a tropical cocktail --- so come on down to The Hut for a Special Edition G3 Happy Hour and cheer the 39th Annual Tucson Pride Parade as it winds its way down 4th Avenue (expected around 7:15PM). We'll be lighting up the giant tiki god in rainbow colors, serving up glorious fruity concoctions and there will be a mexican food truck to satisfy your food cravings. The 39th annual pride parade winds its way down fourth avenue right in front of The Hut, so we have a perfect spot! After the parade you'll want to head under the tracks to Congress Street where RBAR is hosting a free block party in the alley with food vendors, music and an outdoor bar PLUS the RBAR Lounge will be cleared for mingling and dancing. It's time for the big shooo featuring a fabulous cast from the Emmy Award-winning TV Show "RuPaul's Drag Race." Starring Pandora Boxx, Mariah Balenciaga, Jasmine Masters, Venus D'Lite, and our own Tempest DuJour, it's a high energy romp full of big attitude and even bigger hair! 2 Completely different acts with intermission. Hosted by Tommi Rose. SAVE MONEY AND AVOID LINES! Get your General Admission tickets in advance. Save $5 and go right in by getting your general admission tickets in advance. Available at The Rialto Theatre Box Office, Bookmanns and INDUSTRY Hair Studio (on Broadway). 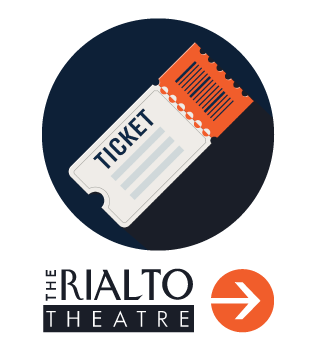 You can also buy them online at the Rialto Theatre Website (convenience fee applies). Meet the Stars, enjoy appetizers from The Coronet and Mother Hubbards and exclusive SRO viewing area up front. VIP tickets are only available at the Rialto Box Office and Rialto Theatre Website. After the show everyone 21 and up is invited back to The Hut which will be lit up in a dazzling lightshow including a mirror ball chandelier dangling 50 feet overhead! Djs spinning inside and outside. Everyone 21+ with a wristband from the Rialto gets in free (and a drink). Subject to capacity limits. At the Stroke of Midnight . . .
A NEW TRADITION IS BORN at the stroke of midnight when The Hut's famous Tiki God will erupt and the Goddess of Pride will appear from the top to wish everyone a happy pride! The is the signal for Ajia Simone and some of Tucson's favorite "Queens" to take to the stage for the "Midnight Madness Show."